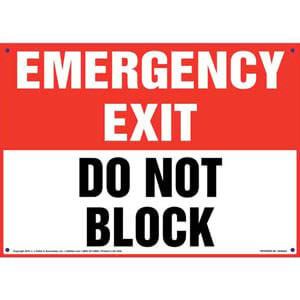 Emergency exit sign helps ensure the area remains clear. 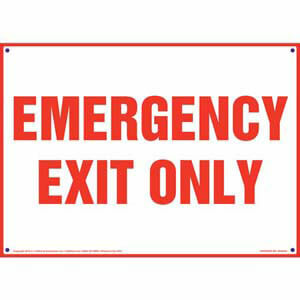 Facility sign clearly designates exit for emergency use only. 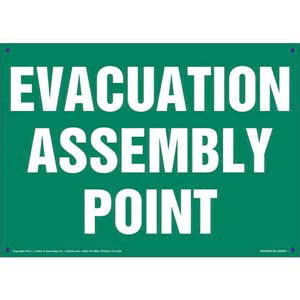 Facility sign clearly identifies designated evacuation assembly point. 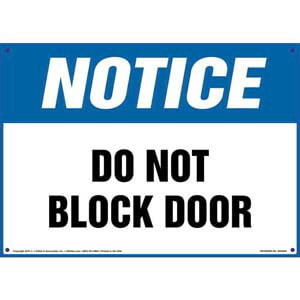 Facility signs instruct employees not to block a door. 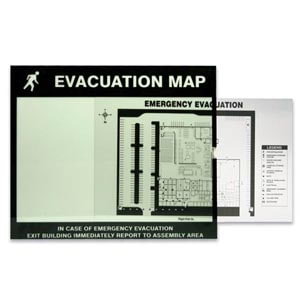 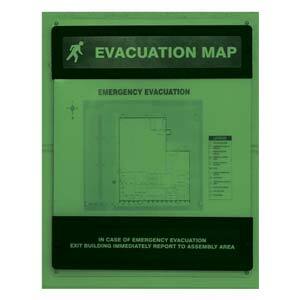 Display maps for emergency evacuation in any dim lighting conditions. 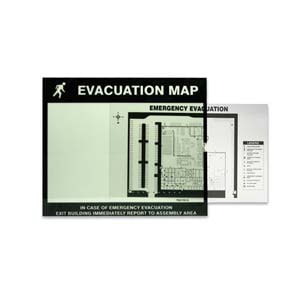 Displays maps for emergency evacuation. 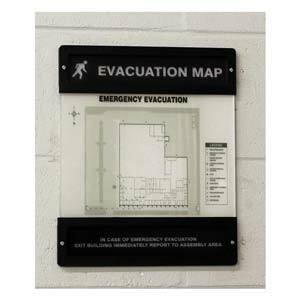 Displays self-printed evacuation map or plans. 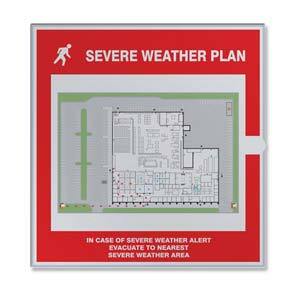 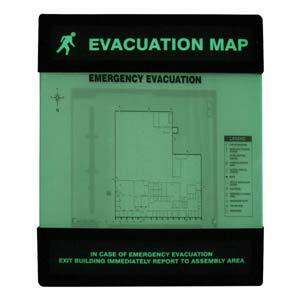 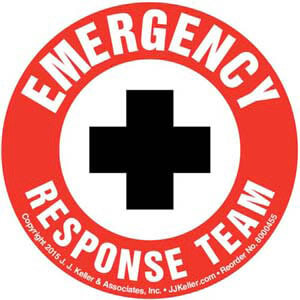 Displays self-printed evacuation map or plans for dim lighting conditions. 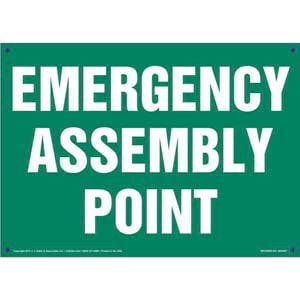 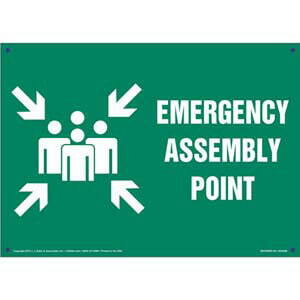 Facility sign clearly identifies a designated emergency assembly point. 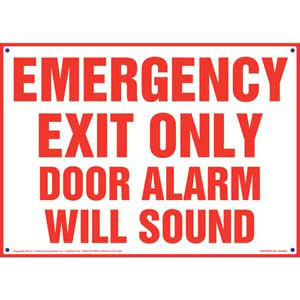 Emergency exit sign warns that an alarm will sound if door is used. 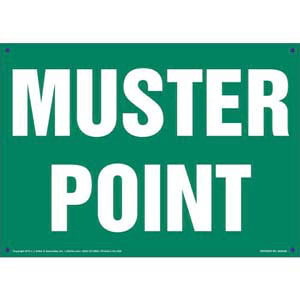 Facility signs clearly identify designated muster point.